Am I Off to a Good Start on Vegetable Gardening? ok guys..this is my first year veggie gardening. hubby and i will be finishing up the beds within the next two weeks.i have five raised beds in all, two 20 foot long by 4 foot wide and two 10 foot long by 4ft. wide. and one that is 20ft long by 2 1/2 ft wide with trellising for growing peas and beans. with 3ft walkways around the beds on all sides. i know it is late to stil be constructing but what to do..they are all going to be 1 1/2 ft deep. the area the beds are in is going to filled with 3/4 minus crushed rock to help lower weeds and make it less messy hopefully. we brought in 4yrds garden mix last weekend and started to fill the beds. going to need at least another 4 yrds to finish. i am going to add some peat moss. chicken manure and lime. what else do i need to do to start off on the right foot? any suggestions? is this a right start?..lol. i feel that i am drowning in gardening books and incorrect information for our area. also wil it be to late to start garlic and onions and what kinds? thanks guys, i can't wait to read your advice! happy gardening to ya! Wow, this sounds like a dream set-up! You can't help but be successful. 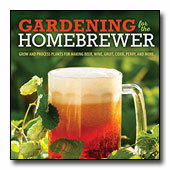 If I may suggest yet another book, check out Steve Solomon's "Growing Vegetables West of the Cascades." A bit meandering but full of great information. Very illuminating on how vegetable gardening differs here from other areas--for example, Eastern Washington where I grew up. It's just a different game entirely here. I'm looking forward to exploring vegetables more this summer in our garden. Started greens, onions (seeds and sets), radishes, beets, carrots, peas and some other stuff a few weeks ago. It's all a big experiment! thanks a lot iris! my girlfriend recently had this book mentioned to her and she bought one. i will have to have a gander at it and see how i like it. sounds like your off to a great start this season already...happy gardening to ya! With 'built structures', I think first you have to think about how you will rotate crops through the beds to avoid desease, bugs, and virus buildup, etc. I think that this is more important with the fixed structure than with the "till it and shovel" raised bed format. Solomon says to just draw the garden and keep track of what grew where so you do not put the same family there next season. But there a dozen or more vege families. I can give lots of sources for more info, if you wish, but let me first describe my PNW modification of the English Victory Garden rotation system. My A veges are legumes, lettuces, aliums, spinach, chard, celery and some others. B veges are 100% brassicas like the cabbage, kale, brussels sprouts, etc. but also radishes, turnips, mustard greens and others. C veges are all the rest in a misc. catagory like corn, but especially potatoes, tomatoes, & peppers of the nightshade family. Here I also add the melon & squash family and roots though beets are the same family as chard and spinach plus carrots are in the same family as celery and parsley. I personally skip the corn because I can grow four times the 50 sq. ft $ value of corn in Farmers' Market potatoes in the same box. I also have an advantage of even lower cost corn by helping a friend sequence his 20 acre corn planting for the Olympia Farmers' Market based upon my daily weather records. So where are we? I have 12-14'x4' boxes which I mark as 4 ea of A, B, & C beds each year. They obviously rotate A-B-C-A, etc. every year. Where I get into trouble is that our weather supports cabbage family veges almost year round so I may often have 5-6 beds of this group even in just fall/winter/overwinter crops. This means that I am often running a 2.5 year schedule so I try to not repeat the tomato/potato or aluim/legume families in the same "C/A" bed until the second time thru. To give an real example (not in engineer's english): a late spring planted "C" potato bed that is harvested in Aug/Sep 2003 becomes an October planted "A" garlic bed; the garlic is harvested in July 2004 and planted with "B" kales, sprouting brocolli, or overwinter cauliflower. In the late spring of 2005, this bed is ready for the summer "C" melon/squash followed by a green manure winter and then the "A" 2006 bean crop followed by fall/winter/spring lettuce/spinach. In June/July 2007, comes the Brussels Sprouts, etc. planting. For an engineer, this is a lot clearer on drawings of the 2003/4/5/6/7 gardens which is very easy to do with 1994 computer technology. It is also a lot simpler to rotate beds if you are only a summer vegetable gardener. Then you only need to follow with a fall green manure and move on to the next family group in the spring. But then you are wasting the home grown food that our climate has to offer and having to live off canned, frozen, and Mexican vegetables in plastic carried by 1,500 miles of truck fuel. PS -- My order of onion plants came today so though the garlic has to wait until Oct, you can plant onions now. I've got corn in my rotation - I agree with Gary that it doesn't make economic sense; but it's fun and to me that's what matters. Matter of fact I tend to think of the summer garden as a whole in terms of "fun" personally. Things like melons don't really make sense economically, but I grow them because I like a challenge. I grow peas and pole beans because I like the fresh taste. I like fresh tomatoes, but I find myself growing fewer of them and not doing much canning - why waste all that space when a can of Hunts is 80 cents? Now the winter garden is another matter. I think the challenge is a big part of why I do it; but it makes more sense economically as well. Harvesting a head of lettuce in January, when they cost two or three bucks at the store, is very satisfying! Not to mention that a lot of things taste better. But hey, this is about a summer garden right? :-) If at some point you're interested in extending the gardening season, check out some of the articles on my site. But whatever you do - remember to have fun! And don't let any failures deter you; we all have them on occasion. On Travis' site above his 2nd link, Quick Looks, has a link to his Winter Gardening Timetable. This article gives you great timing points for sowing, transplanting, etc. your crops. He also has many, many articles on specific fall/winter veges. Steve Solomon's book also is a great source including his advocating that half your garden should be used for fall/winter crops. He even lists quantities to feed a family of four in his vegetable instructions. As to here in the PNW, don't forget that our climate is similar to that of Coastal France/Southern British Isles. Before recent history, they didn't have biodiesel fueled trucks from Spain and Italy to transport fresh vegetables to them. They had to learn to feed themselves and their livestock throughout the year. In the US, our Northern European ancestors unfortunately had to modify their farming techniques while generations moved west through NE and the frozen plains until they reached the PNW 160 years ago. The Territorial Seed Company even puts out a Winter Catalog about June 1st. Their spring catalog has varieties that you plant now but can eat through to next March/April. My leeks still have a month to go; the collards have one picking left this weekend; sprouting brocolli is starting form up; and a pair of 2002 sown overwintered cauliflowers that got moisture stressed last spring sure look like they are forming heads for May harvest. Then there are the 2003 sown aliums for 2004 harvest; garlics, shallots, Walla Wallas. One other comment on Travis' post. Melon lovers tell me that you eat them from the garden you may never buy another one in the store. As Travis, I love the challenge and my wife gets the melons. WOW is all i can say right now guys!..lol..my brain is on overload!...what wonderful advice. i am def interested in learning more about all year gardening as i have a family of six with two almost teenage boys who eat more then their father! what would be some suggestions for a small section of easy veggies that i could try to winter this year? i think for this summer i need to learn more about the veggie families and how to care for what i am going to plant. thank you so much gary for all your info and i def interested in all you have to teach me seeing we are "close" neighbors, i am in shelton. this year i wanted to grow: tomatoes of course, onions. garlic(would be planted in fall for next year) cucumbers, zuchni, peas,lots of lettuce, carrots, radishs,lots of beans, bell peppers, spinach, a small section for cabbage, cress, shallots and mabey some cauliflower and broc. any suggestions? to late for peas? i get the idea of rotating what i have planted in certain beds to help decrease disease and bugs. almost like "tricking" them right? still need more info for better understanding i think..(sorry i am slow to learn, need lots of instruction..lol) but i know nothing about families and what would go with what. as i only have four beds(two 20' x 4' and two 10' x 4') will this make rotating harder? i have been to travis' site over the past week, went to the libary and printed out pages and pages for my journal/info book. i would like more info on using a cloche and hoophouse..i don't half enough room for the hoophouse but i am interested in the cloche. printed out the intructions off travs' site to make one. also would like more infor on green manure such as what makes a good green manure. do you think that i am using the right kind of dirt and admendments for success? i am going to make the complete fertlizer found on travs' site. thanks so much for your help guys! happy gardening jenn! The easiest are probably roots - carrots and parsnips. Carrots should be sown by early July; parsnips a trifle earlier. Some people have trouble with carrot rust fly around here, which are fly larvae similar to the cabbage maggot that tends to ruin unprotected radishes and such in the maritime NW. These can be solved, if necessary, by growing your roots under a row cover like Reemay. A lot, or perhaps most, of the veggies you think of as "cool season" can be overwintered. The main problem around here isn't winter cold - it's the rain. Grow them under a cloche, or build a hoophouse (easy instructions for both on my site, as well as other places on the Web). This also will help protect them from the brief cold snaps we see on rare occasions. Leeks are pretty much trouble free and need no protection from winter; but be sure to grow winter varieties. Brussels sprouts also are hardy and trouble free, at least once you get them through the summer and the aphids! Lettuce, spinach, endive... lots of cool-season greens can be grown if given enough protection. Seriously, rather than have me ramble on for page after page: Grab Steve Solomon's book, or check out my site, or preferably both! Gary posts often on this forum, and he's got a lot of experience in winter as well as summer gardening - read what he says on the subject. Check out some of the local Tilth groups; see what the Seattle Center for Urban Horticulture has to say. I bought Steves book and have been buried in it ever since! There is soooo much of good info there too! Im going to try to track down the ingrediants for the complete organic fertilizer and make up a batch, even tho Im not a big fan of organics due to many expensive failures and dissappointing harvests over the years. Im also interestd in a planting of soy or fava for green manure...has anyone here ever tried that? Think of your 20' beds as two ten footers and you have 6-10'x4' beds. I have bought and worn out everyone of the five editions of Steve's book since the first in 1979. Every time I read a section again, I find something that slipped by be before. His advice has also grown over time as he moved his gardening sites from Loraine, Elkton, and a short time Yelm. One of the best ways to learn what grows well here is to make a habit of visiting the Farmers' Market like Olympia and Shelton. Oly opens this Thur. The Best transplant grower in our area is Ron Cummings of Olympic Mt. Nursery (Matlock Rd.). Ron worked for a Solomon disiple, Gary Kline, at Black Lake Organic near Olympia. The two of them developed a growing mix to carry transplants without fert until planting time. He sells organic plants for all seasons at both at both Oly and Shelton markets and adds some produce later in the year. In an month or so, compare his dark green, stocky, hardened-off tomato plants with the pale leggy ones of some other vendors. Favas work well here for green manure, especially fall sown. On your fertilizer, you'll find that Solomon is a "small o" organic grower. He recommends Rapid Gro/Miracle Grow for feeding transplants. You will also learn that he doesn't go along with huge compost additions to raise the organic percentage of the soil. Part of this is due to the pest build up they experience in Oregon but I think that he is right for other reasons because we don't have the summer heat nor winter frozen ground that quickly breaks down the organic matter and kills lots of bugs every winter. I have to make a confession: instead of getting all the ingredients and making the complete organic fertilizer in Solomon's book, I bought a bag of composted chicken manure. We have such a small space, you see, and he does say it's comparable, and...well, it was just easier. We limed the soil using his recommendation and then just...opened the bag.